More on the Wholesale Interiors Adair Leather Loveseat and Sofa Set (Brown) 1287-206 & 1287-206 below. 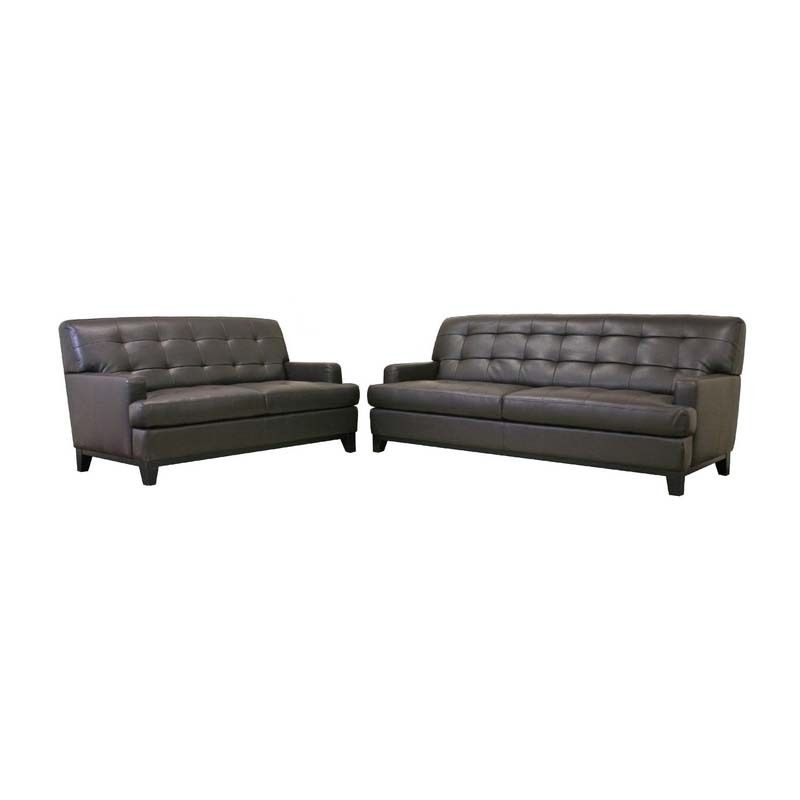 This superb, sleek contemporary sofa and loveseat set will make your friends envious of your sense of style and comfort. 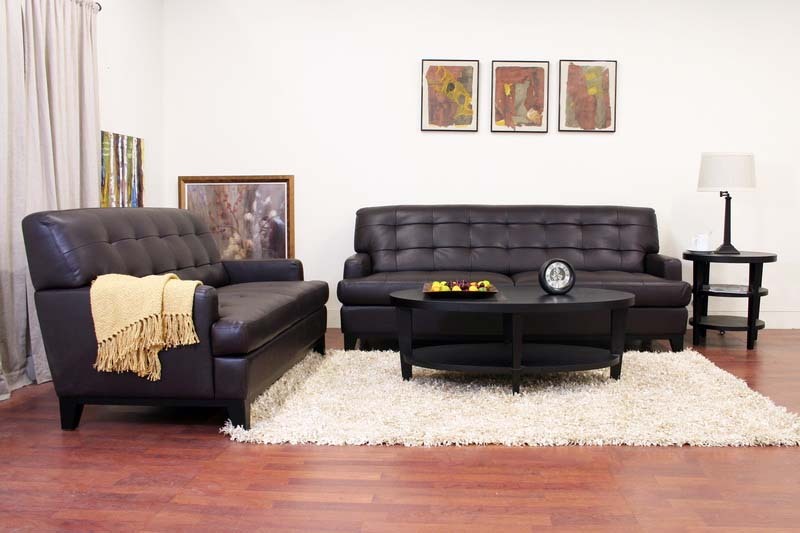 The Adair Sofa Set is a high-quality collection featuring only solid wood for its frame and high-density foam for the cushions, which will keep its shape even after years of heavy usage. 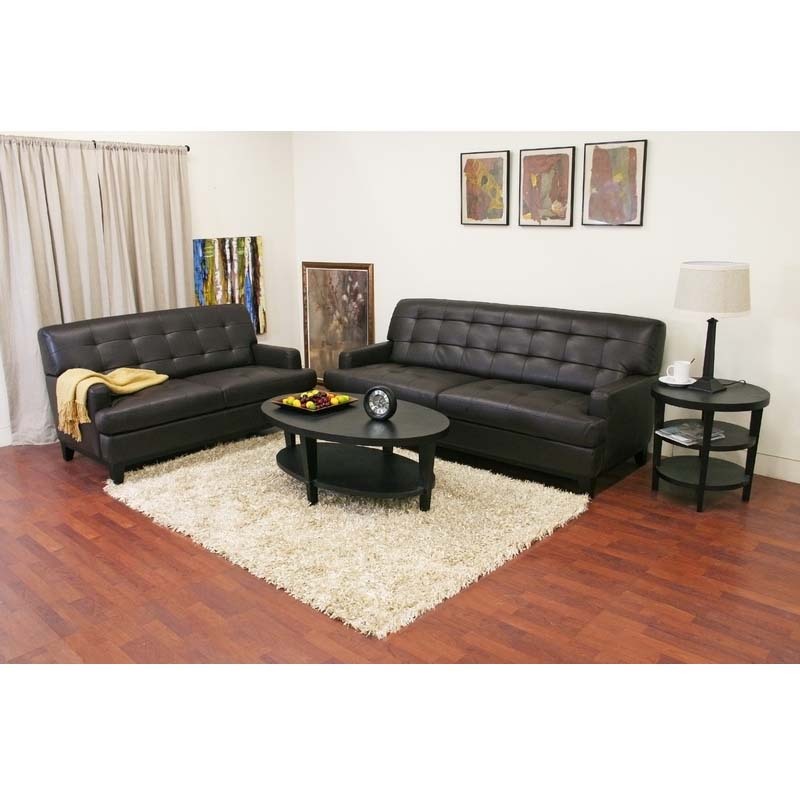 Brown bonded leather and a black wood base and legs complete the look. 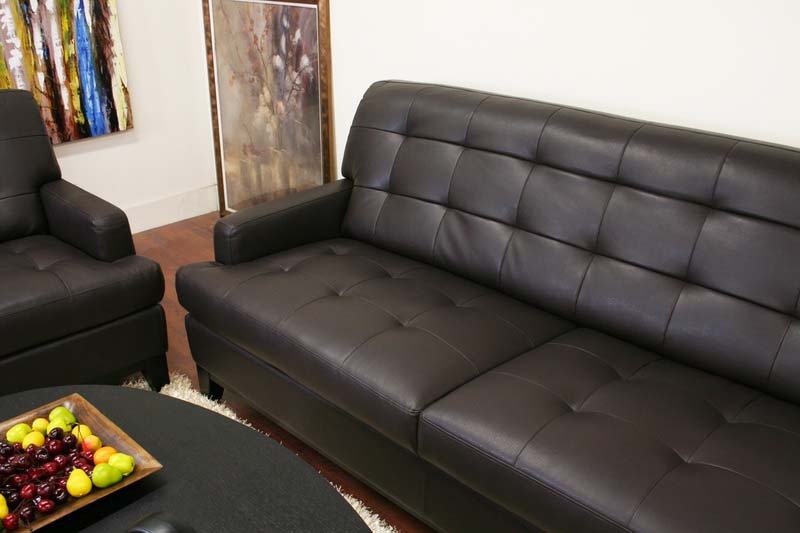 All cushions are attached to the frame and are not removable. 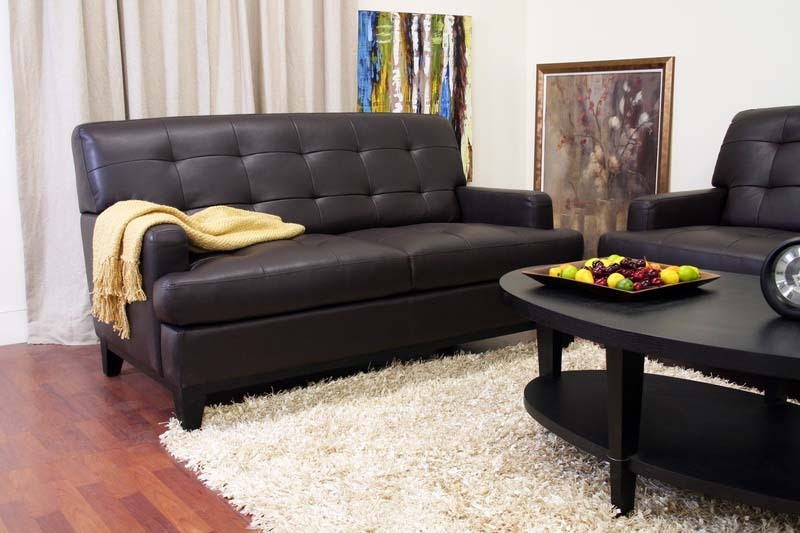 The Adair Set is fully assembled and is also available in white leather (sold separately-see related products below).